Somerset have confirmed all-rounder Craig Overton has undergone surgery on a long-standing ankle problem. 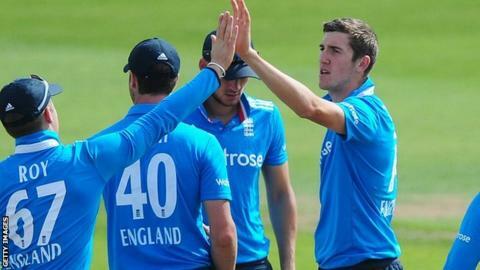 Overton suffered a recurrence of the injury while on England Lions duty in South Africa last month. The club expect the 20-year-old to return to action in time for the start of the 2015 County Championship season on 12 April. "The operation went well and hopefully it will all be sorted out in time for the summer," said Overton. "I think I'll be out for around eight to 10 weeks, so if it all goes to plan I could be ready for the first game of the season and, if not, then definitely the second match." Overton took 40 first-class wickets in Division One last season and scored 431 runs at an average of 33.15.